A trove of intriguing items is up for sale this week, including a number of film icons. Collectors get ready. 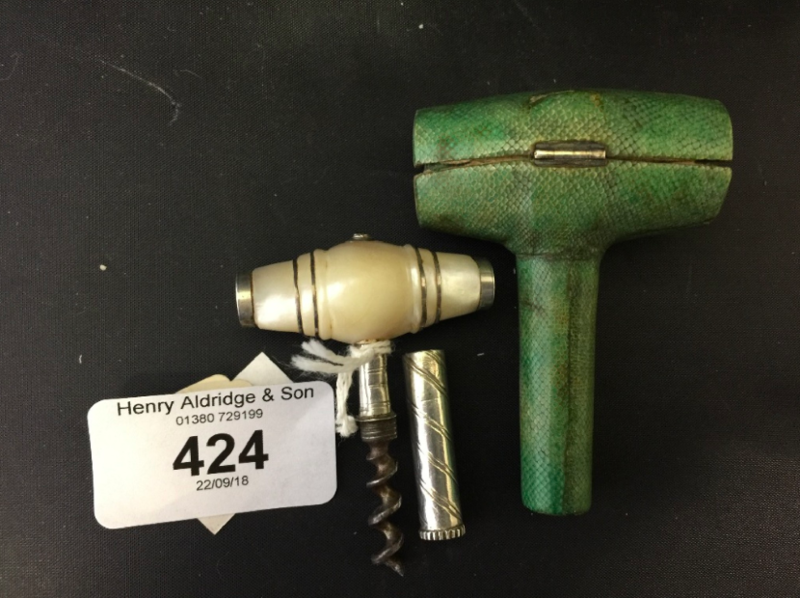 This Saturday, Devizes-based auction house Henry Aldridge & Son is selling a host of antiques, corkscrews, iconic collectables and more. While the objects up for sale could appeal to any enthusiastic collector, we’re particularly intrigued by the icons, especially those of films. One highlight is the bill from the doctor who prescribed Marilyn Monroe the drugs which she used to overdose. The letter is typed on personalised note paper from the doctor's office, sent to Monroe's post office box in Los Angeles. 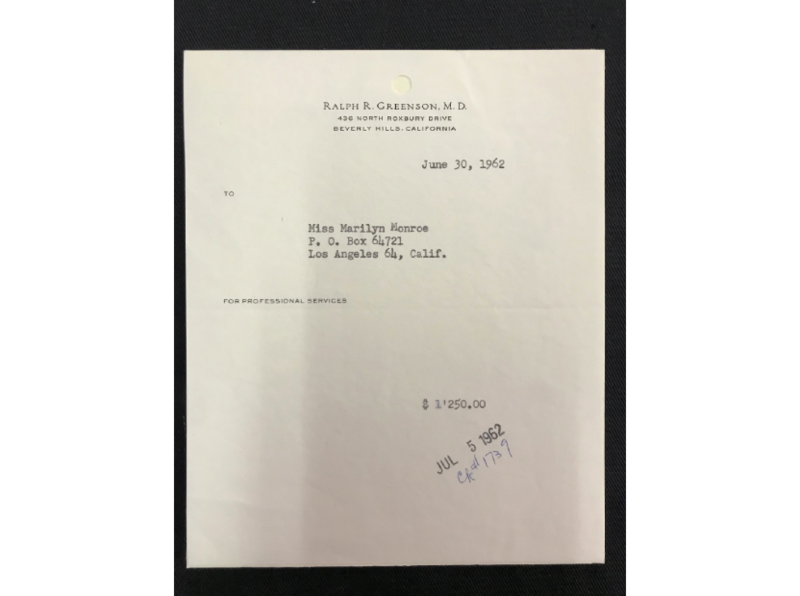 She was billed “$1,250.00 for professional services” on 30 June 1962, only six weeks before her death. Dr Ralph Greenson was Marilyn Monroe's psychiatrist and an important part of the final year of her life. It's fair to say that, as her psychologist, nobody would have known more about her tragic state of mind. 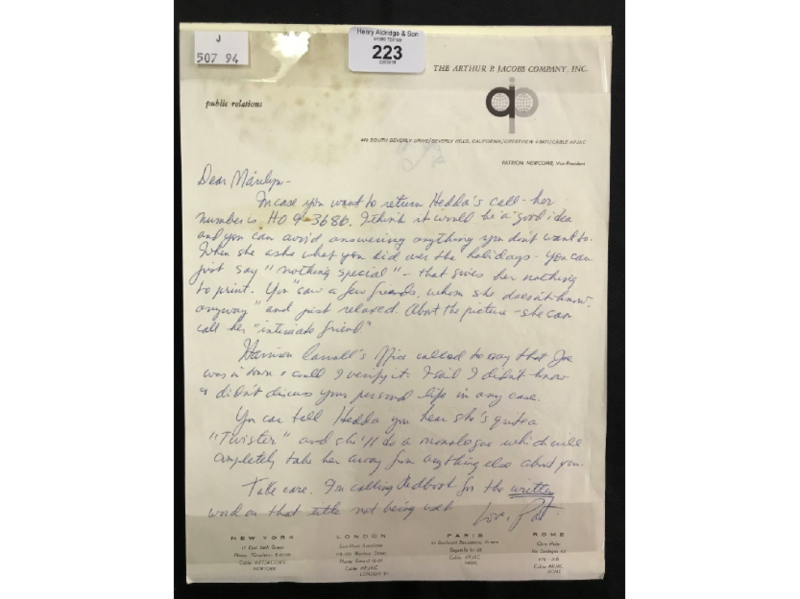 The letter is signed in the lower right corner by Pat (“love Pat"), who was Monroe’s personal secretary and press agent. Newcomb also saw Monroe the day she died. This white metal cigarette case once belonged to Rita Hayworth. The case is of a trapezoid design embellished with faux ruby, moonstone and green tourmaline bouquet, wrapped in a scroll to the front. The front is signed with Hayworth’s signature in red enamel. 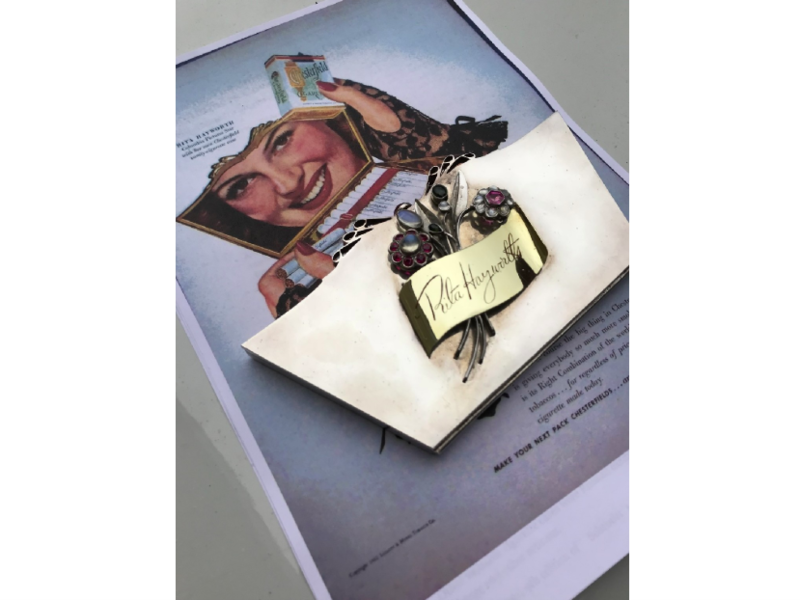 A signed Rita Hayworth business card accompanies the lot: “To Gloria, Best Always Rita Hayworth”. The case was used in the famous 1940s Chesterfields cigarette advertising campaign, a copy of which is also included in this lot. Finally, though not from the film industry, another intriguing lot is Murderer Lord Lucan's (1934-?) AA card. Richard John Bingham, 7th Earl of Lucan, British Peer and suspected murderer, disappeared without a trace in November 1974. 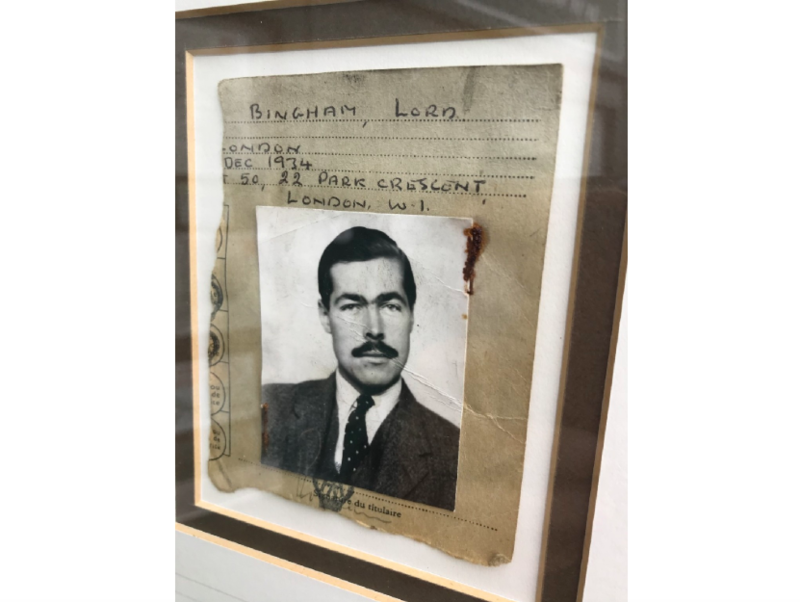 This rare section from Lord Lucan's AA card lists his address 22 Park Crescent, W1, his date of birth Dec 1934, his photograph and what appears to be his signature, above an AA stamp. Beyond the intriguing and the iconic, there’s plenty more on offer from Henry Aldridge & Son. 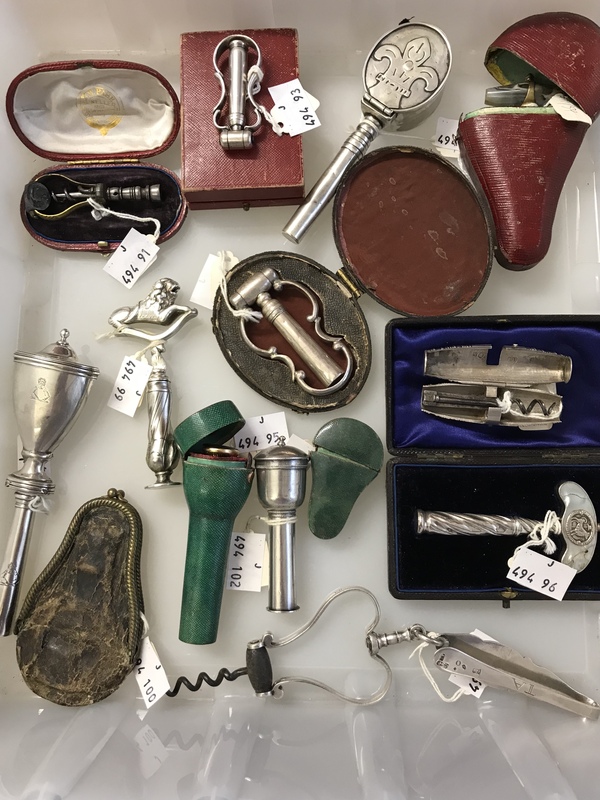 The jam-packed auction will take place on Saturday 22 September.